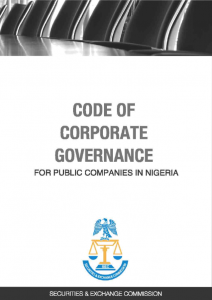 NOTE: PURSUANT TO SECTION 309 OF THE ISA WHICH EMPOWERS THE MINISTER TO EXEMPT ANY PERSON OR CLASS OF PERSONS FROM THE OPERATION OF THE PROVISIONS OF THE ACT, THE MINISTER OF FINANCE HAS WAIVED THE NAIRA VALUE CAP PLACED ON TRANSACTION FEES PAYABLE TO SOLICITORS, AUDITORS, TRUSTEES, REPORTING ACCOUNTANTS AND THE DEPOSITORY (CSCS). EFFECTIVE JUNE 7, 2018. 1. Rules on Return of Unclaimed Dividends to Paying Companies. 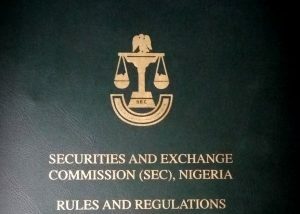 Creation of New Form SEC 2D for Fit and Proper Persons (Sponsored Individuals, Directors/Partners) for Registration in the Capital Market.